The Sydney Opera House is not only one of the most recognised and impressive tourist attractions on the continent, but also a world-class venue showcasing music, theatre and dance. Whether it’s a pre- or post-performance brew, or just a thirst-quencher after a long day of sightseeing, some of the city’s best bars reside near this arts institution; here are our top picks. Palmer & Co. is the ultimate excuse for sheer decadence on any day of the week. 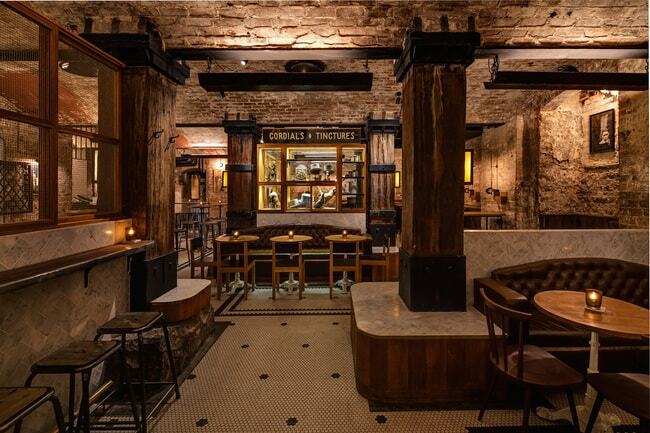 This 1920s-themed cocktail cave is set in a vaulted, exposed-brick basement moments from the Sydney Opera House, boasting live music, luscious libations and a dapper staff. Expect gin-based cocktails to boot and a sinful selection of antipasto and charcuterie in this awe-inspiring 20s throwback. Enjoy impressive views the Circular Quay, the Sydney Harbour Bridge and its surrounding swarm of life whilst sipping cocktails on the sun-drenched deck. Quay Bar serves up creative takes on classic cocktail numbers with a delicious menu designed around share plates, salads and ultimate classics, such as the Quay Bar Burger. This hole-in-the-wall-style bar doesn’t give much away on first impression. A discreet entrance leads curious customers to a rustic bar with a killer, daily-changing cocktail menu and on-trend interiors. Seating only 45 customers, this little gem is popular with those in the know. Head to Bulletin Place for some creative concoctions and then stroll the eight-minute walk to the Sydney Opera House for a true Sydney insider experience. With a stunning 180-degree view of the harbour, opera house and surrounding waterways, this humble, old-school spot is the perfect when you want to wind down while staying situated in the centre of it all. 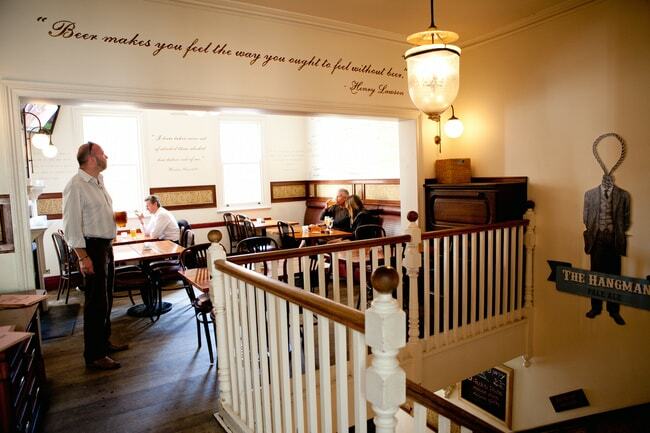 Built in 1921, The Glenmore offers three levels of fun, fare and fine-quality Aussie and international beers. 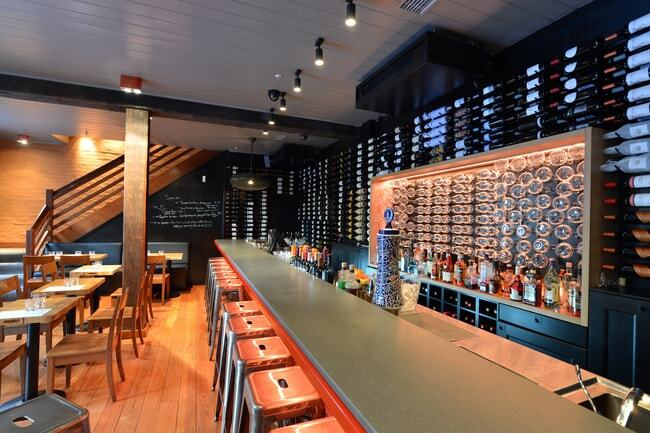 Relish in rum-based concoctions in this harbour-side watering hole. Perfectly located, Hacienda not only boasts some of the finest views of the water, but impressive interiors inspired by Cuban architecture and the tropical vibes of 1950s Miami hotels. Delve into share plates and take in the harbour at this bar set but a stone’s throw from the Sydney Opera House. Be seduced by a mouth-watering menu of traditional Spanish tapas in Tapavino. Launched in 2012 as Australia’s first sherry bar, Tapavino has gone on to become one of the leaders of authentic Spanish dining in Sydney. Boasting a menu of over 300 Spanish wines and 80 Sherries, this sultry little saloon is synonymous with escaping the crowds after a long day of sightseeing. 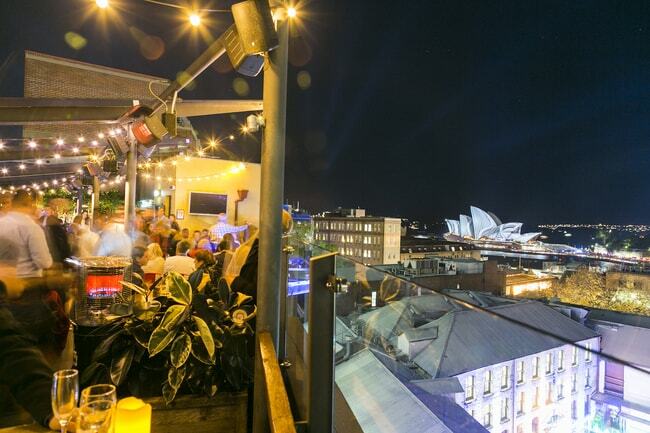 Although an obvious choice, Opera Bar is a pretty great bar to cool off with a glass of bubbly or a beer in Sydney. Neighbour to the impressive Sydney Opera House, this bar seduces a steady flow of tourists, theatre-goers and locals alike to catch up over coffee or a cocktail in this waterfront bar and bistro. 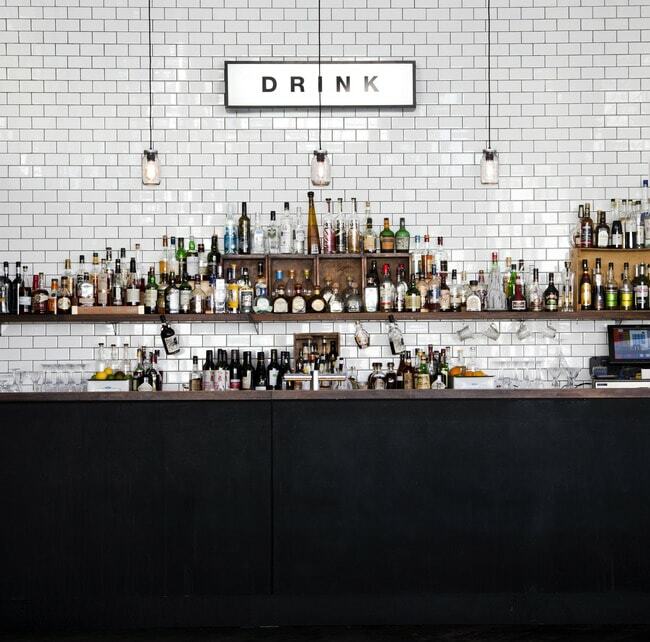 This waterside bar, set in the Sydney Theatre, offers cocktails and culinary creativity with menus inspired by theatre productions. Drop in pre- or post- performance or just for a pit stop during a day pounding the pavement in Sydney – this bar near Sydney Opera House has an open door (and free seating) policy. 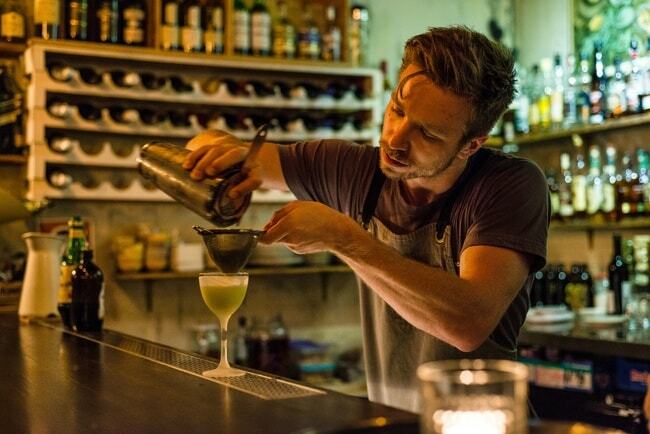 Soak up the atmosphere in this cool and classy cocktail joint moments from the Sydney Opera House. Boasting share plates, gourmet fare, artisan beers and creative libations, The Push Bar is an excellent place for that all-too-perfect date or post-performance dinner. Fridays and Saturdays see some of the finest live piano performances going from 7.30pm. Harts Pub is all about local Aussie artisan beers in a cosy and casual setting, while serving up some gourmet grills and pub-style fare. Located in The Rocks, this characterful corner pub is the perfect place to relax in Sydney – close enough to the buzz of it all while still offering a slower slice of life.